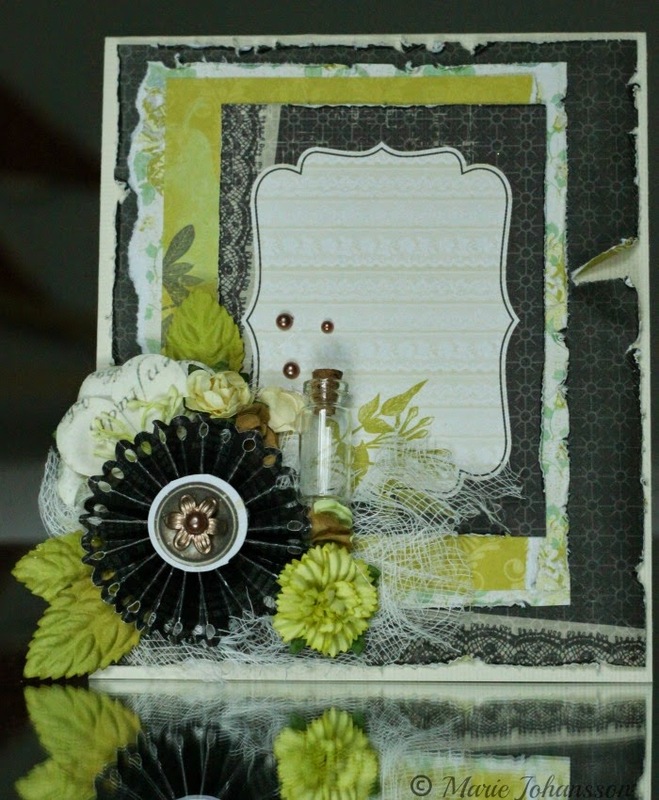 I´m showing you my latest DT project for ScrapPlezier today. I made this card for my mother in law as a gift for mothers day. I used a plain cardstock as base and patterned papers from Kaisercrafts collection Pickled Pear. The embellishments are mostly from my stash, like the cheese cloth and the random flowers. You can find the little bottle and the pearls in the store. Loooove the bottle! Enjoy!